Shiplap, shiplap, shiplap. It is entering homes all over America and more recently, my workspace! If you watch Fixer Upper, you've probably seen Chip & Joanna uncover original shiplap or install fresh, new shiplap. I decided I wanted a change in my workroom, so I asked for shiplap for my birthday (no joke). I absolutely love how it turned out and for only $150 for an entire room it completely transformed the space! I love the texture it brings to the room and how the white brightens everything up. I was inspired more by modern, clean lined shiplap instead of the weathered and distressed shiplap that is featured in the show Fixer Upper. In the end, it met somewhere in the middle between modern and weathered since I had a few hiccups. 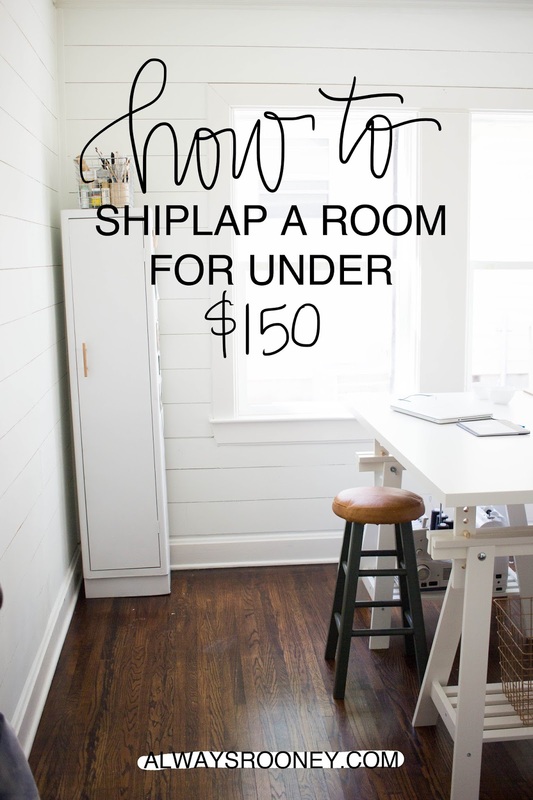 Keep reading to learn how to shiplap a room for under $150 and for the before and after! Before, the room was the same color as the rest of our house: Revere Pewter by Benjamin Moore. I love the color in the rest of the house but this space I really wanted to brighten up and not make as cozy. Thanks to a recommendation from my friend Kaylan, I painted the shiplap Snowfall White by Behr. 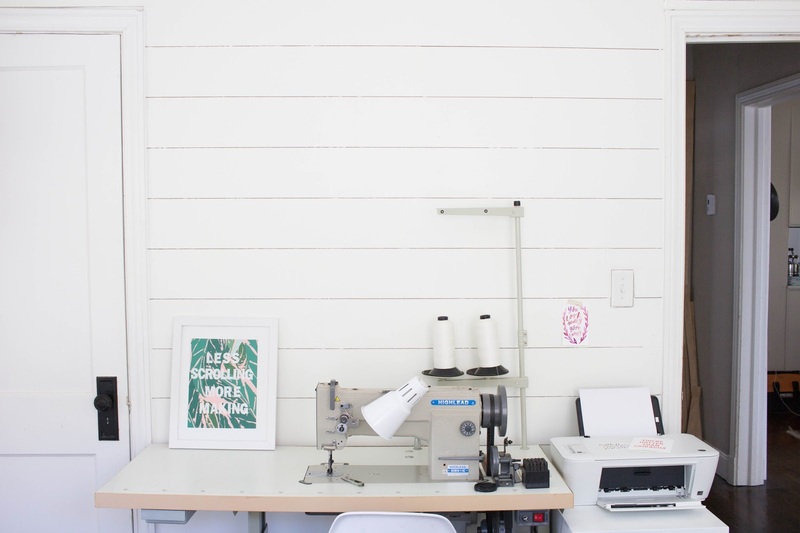 I also loved my workroom before but I needed more space to cut leather and I felt like I was wasting a lot of space, later you'll see how I fixed this problem with rearranging the desks! Materials: 4x8 sheets of Plywood Underlayment (I used 8 for the whole room), Miter Saw, Circular Saw or Jigsaw, Nail gun, Nails, Compressor, Sandpaper, Paint, Paint Roller, Paintable Caulk, Spackle, 3-4 Nickels, level. 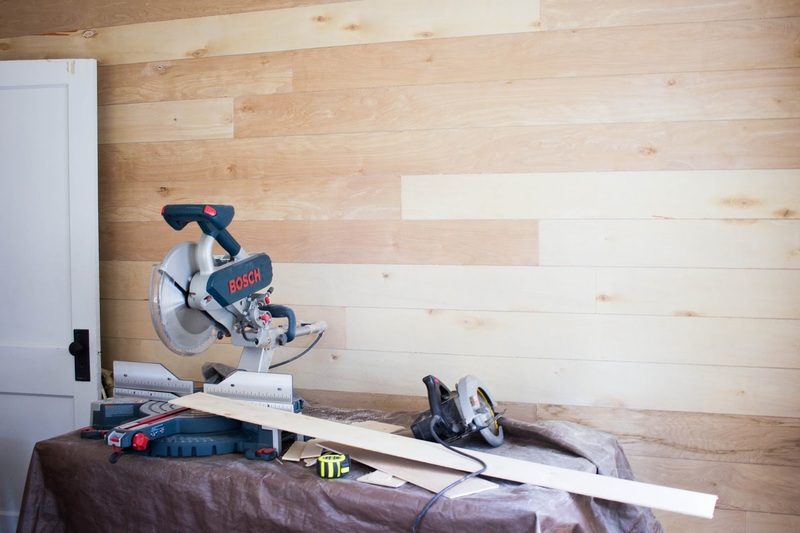 Process: Find out how many sheets of plywood you'll need by calculating the room. I used 8 for a 120 sq. ft. room. Have your home improvement store cut the plywood underlayment into 6 inch strips. You'll have one strip that ends up measuring 5.5inches because of the blade. Take your first strip and level it at the top of the wall. My ceiling and walls were way off measurement since it is a very old home, expect all ceilings to not be perfectly level. Once you get the top strip leveled, everything else will be a breeze. Nail into place and measure the rest of the wall. Cut a strip of plywood to that size and nail in place making sure it is level. 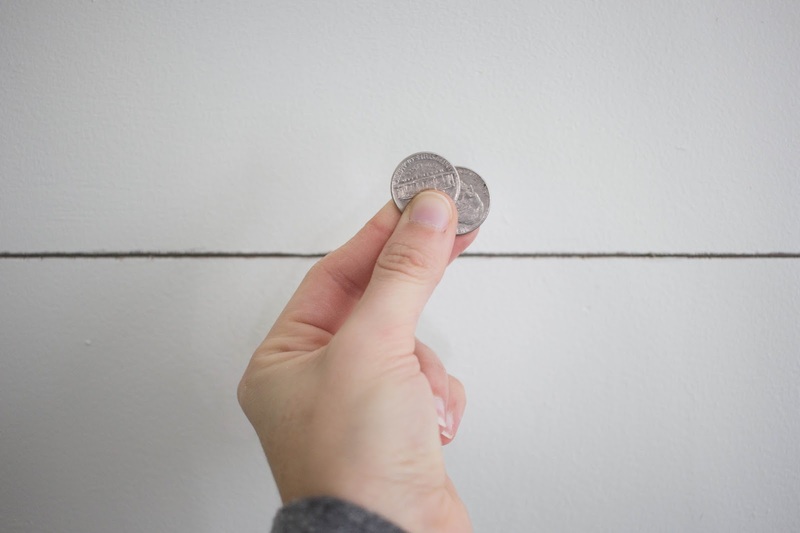 Take the rest of the previous strip and using the nickels as a spacer, nail below the top strip. Continue this process for every wall! For the corners, I wanted it to look clean so I cut 1.25 in. strips and made an L shape on each corner. Around the windows and electrical outlets, I cut the shape using a circular saw. I recommend a jigsaw for this part. After all the wood was up, caulk every edge corner and spackle the vertical lines in between the boards. 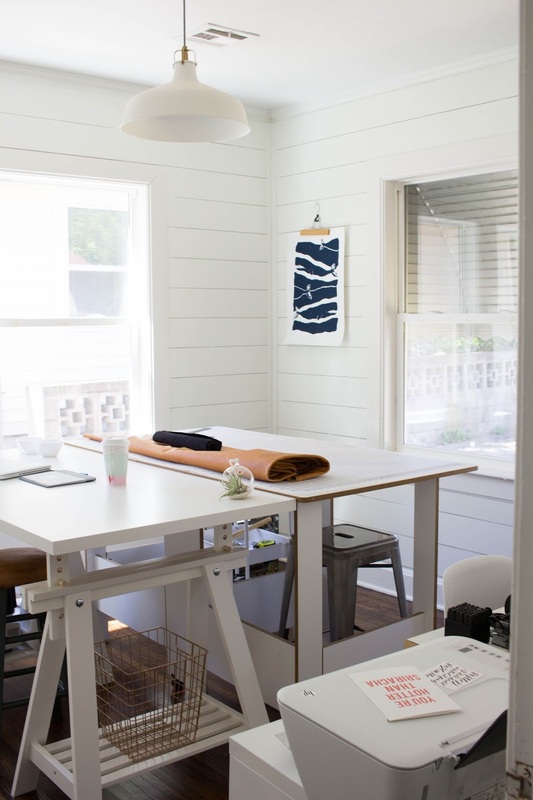 After the caulk and spackle has had time to set, paint your shiplap! Edit: Cut the wood closer to the electrical outlets so the outlets sit on top of the wood for a more finished look! *Please note: This is how I did my room. I'm sure there are many other ways to achieve this look, including actual shiplap. But this was an inexpensive way and achievable with one person working since the wood is so light. -I used silicone caulk originally because I just grabbed something at Home Depot. MAKE SURE you get paintable caulk. Silicone resists paint and so my finishes aren't as smooth as I wanted. -I spackled every vertical line so that the wood pieces seem to be longer and continuous. This is a personal preference, but I like how it makes it look clean. -Sand down the edges before you nail to the wall! I was in such a rush/so giddy to put the shiplap up that I forgot this step. It resulted in a more distressed look BUT I really love it. -This project is so inexpensive and so easy! You can totally do it! I am in love with how it turned out! What are your thoughts?! 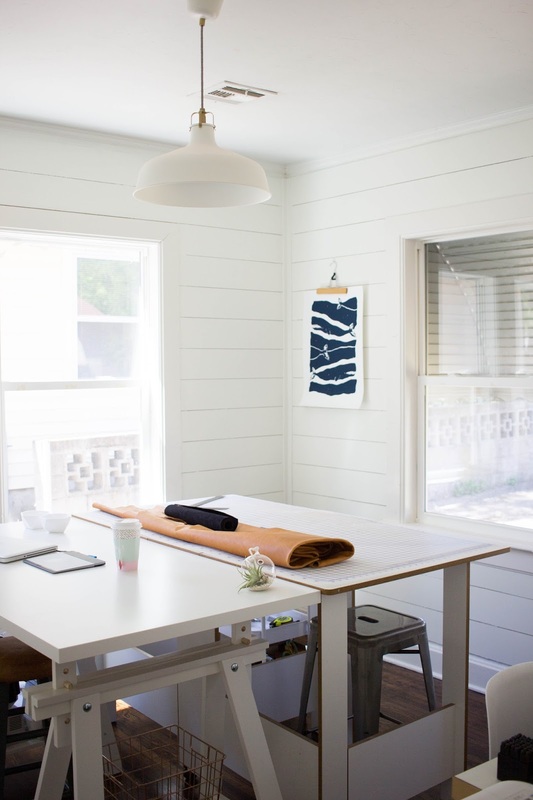 Have you thought about adding or uncovering shiplap to your home? What I difference that made to the vibe of the room, just gorgeous and I can't believe it cost you $150! Thank you so much Kaylee, I can hardly believe it was so cheap! Great Job! We are in the middle of gutting our Den Room and will be using shiplap. I wasn't sure if we should use 4x8 sheets of the wide wainscoting or the shiplap the has the grooves. But now this is another option. 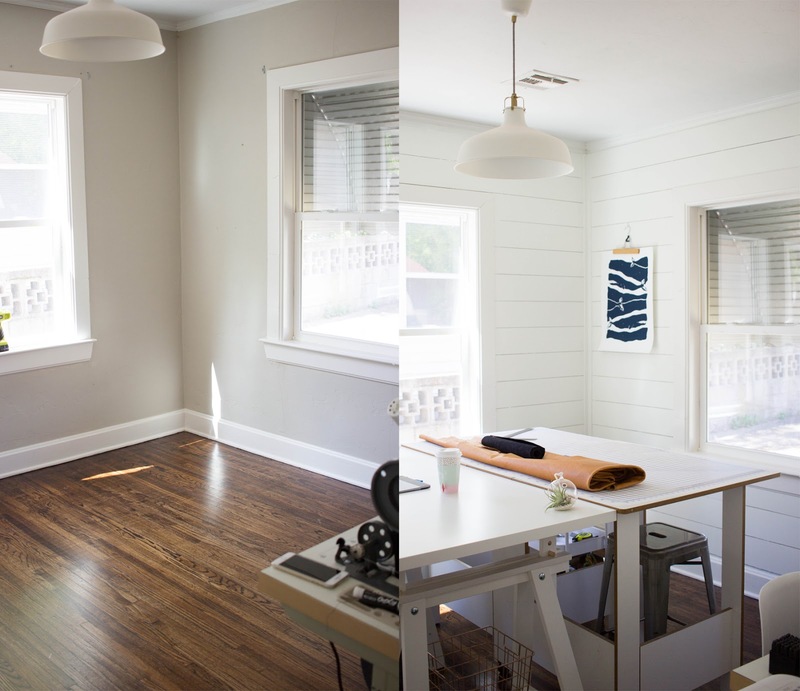 Painted my home office last year all white, I love it. Would love to see the outcome when you are finished! There are so many options to go with, this is most likely the most cost effective. If you are wanting the wood grain to actually show through (like if you are staining the wood) I would go with the shiplap with the grooves! Thank you so much! I'm pretty excited about it! This is lovely. 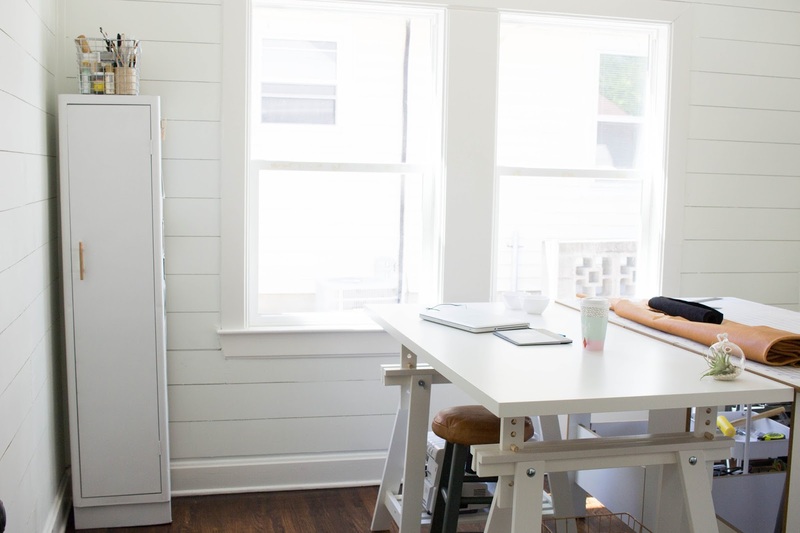 What a gorgeous workspace you have! Thank you so much, Taylor! It definitely inspires me! Did you remove your trim before and re-install it after? Or did you just do it with everything still attached? It looks amazing, and I want to do something like this in my toddler/baby's shared room! I did not remove the trim! 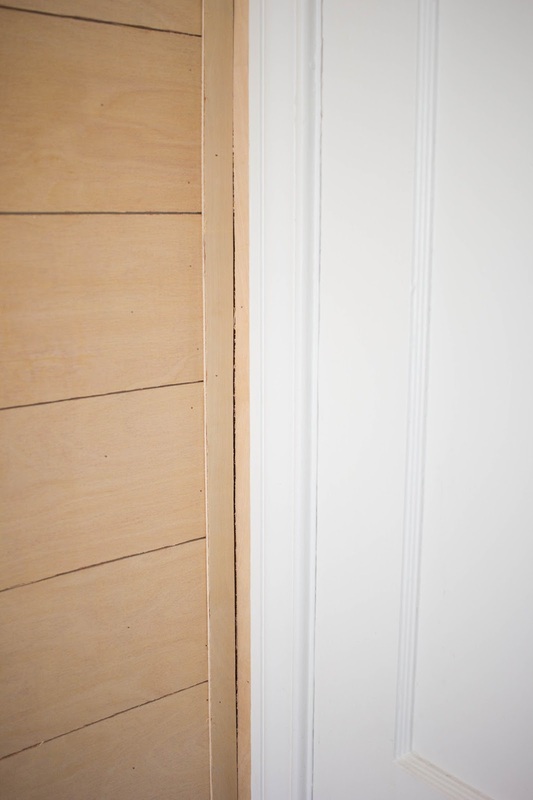 You can just line the shiplap up to the existing trim, but make sure the shiplap is level before nailing in to place. I'm obsessed!! 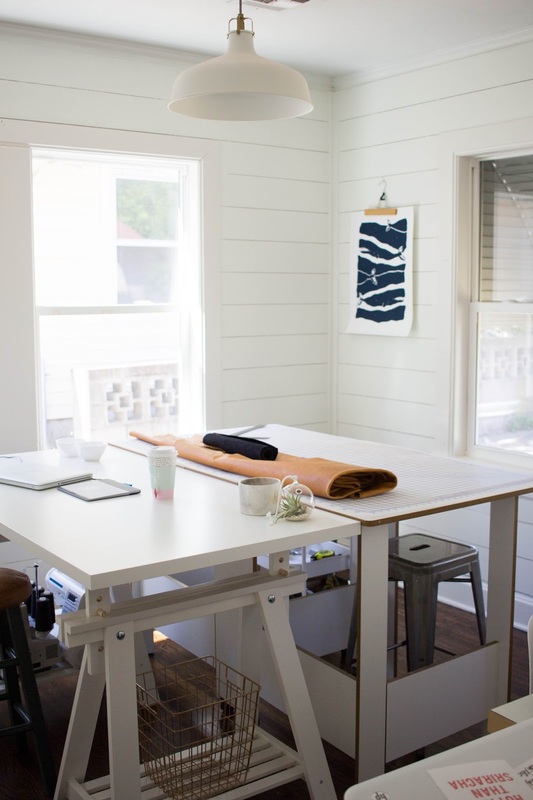 This is such a gorgeous workspace! Where did you get that table with the adjustable top height? Hey Ellen, I picked it up from Ikea! It was a steal for around $100! What did you use for the crown? I just left the pre-existing crown in place and worked below it, making sure the shiplap was level! I used Plywood underlayment in the 3/16 inch thickness! It looks amazing ...Where did you get the long cabinet in the back ? The space look amazing... Where did you get the long cabinet? It's so cute! I love it...I'm looking around my house wondering what room I can do this to! I'd love to makeover the "playroom"...it'd be PERFECT in there! Now to talk the hubs into helping???....???? Very cute! I love Shiplap. One suggestion for a more finished look is to remove your light switch and outlet coversion and pull the boxes forward. 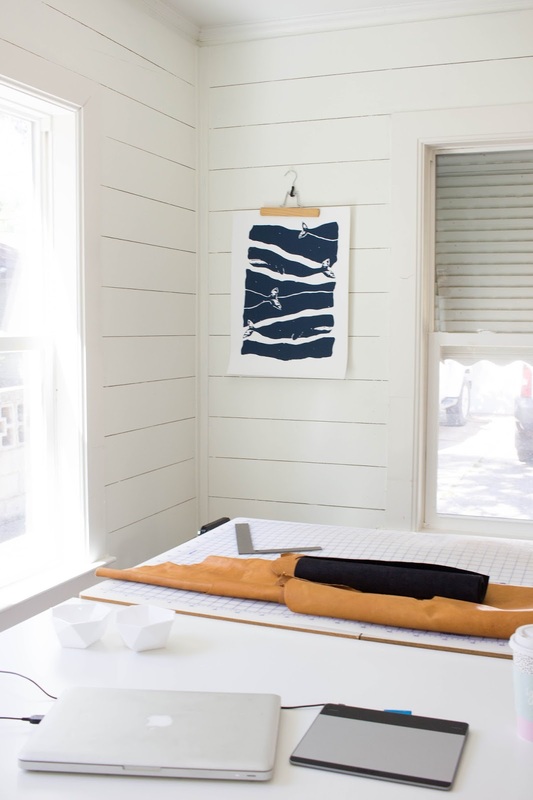 Purchase inexpensive oversized covers and put them on so they cover the edges of the shiplap. It's easy, but makes a huge difference in the finished look of the room. 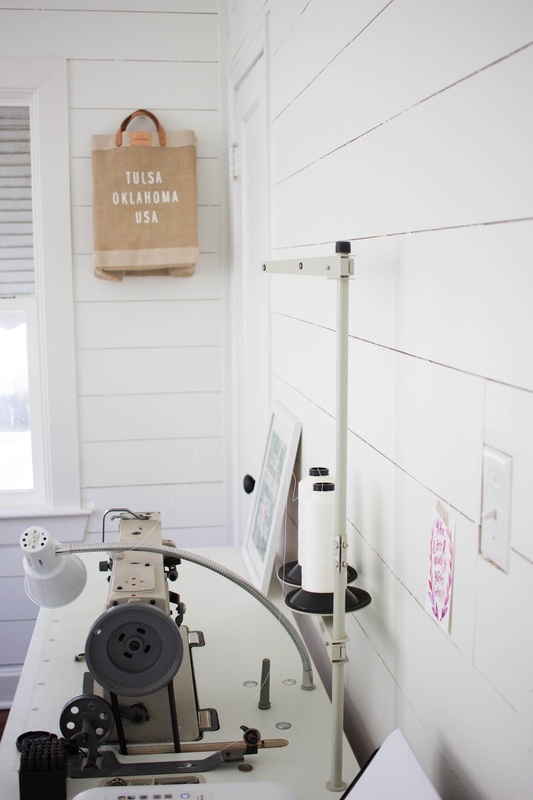 Love your workroom. I am so in love with shiplap! I want to do this in my dining room. I had a plan ready to go but when I went to 2 different home improvement stores here in MN to have them cut the plywood neither would rip it down into strips. I've read all over that they will do it but no luck. Am I missing something or maybe it's just my area? How frustrating :/ Maybe it is just your area? I also went with a friend a few weeks ago to get some cut and they had no problem at all! I would look into renting a table saw! Next time make sure you remove light switch covers and plugin covers. The covers should go over the shiplap, making it look more professional. Great advice, maggie! 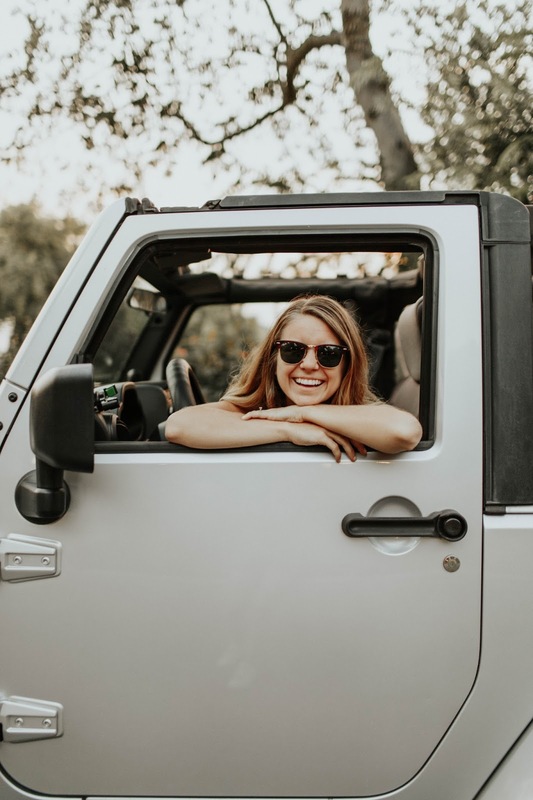 I updated the post to suggest that to readers! 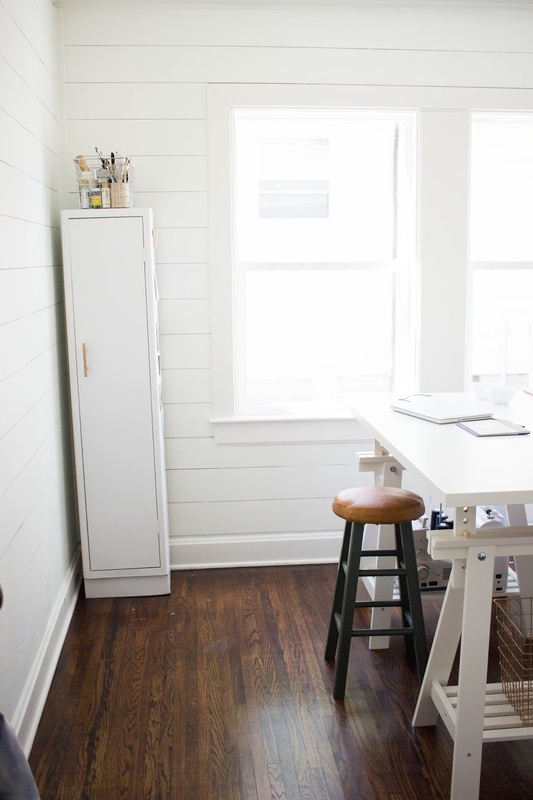 Did you paint your trim the same color as the shiplap? Did you remove your drywall before nailing the boards on or did you just nail the boards to the drywall? Have you had any trouble with them pulling away from the wall? We have an old farm house and I am thinking of doing this in our master bathroom to make a more rustic feel. I did not. I just nailed the boards to the drywall but made sure there was a stud where I nailed them. I haven't had any trouble with them pulling away at all! 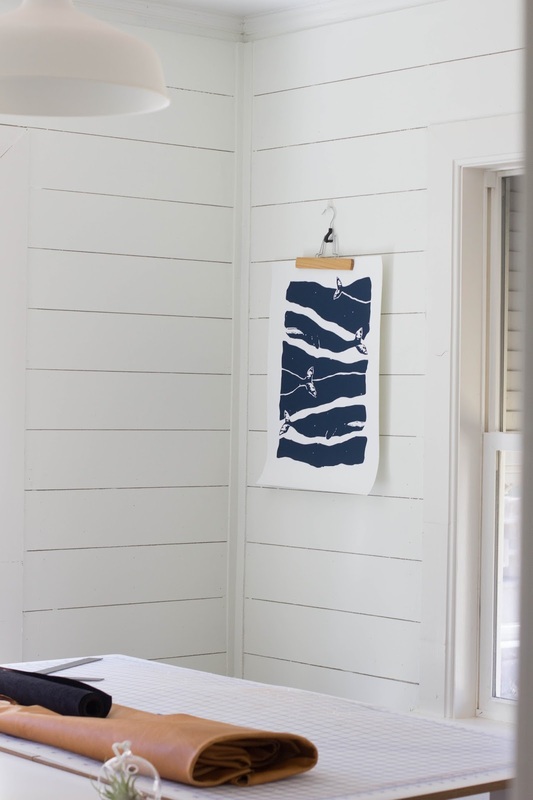 I think your bedroom will look perfect with shiplap! Hi! I did this to remove the visible lines between the boards. It is completely up to you if you want to do this!